We excel at working with the adult professional who needs fine tuning or vocal rehabilitation. You may sound fantastic to everyone else, yet we can hear the slight imperfections that are making it difficult to open up to your full resonance. This is when we can really get into characterization and interpretation so that we can unlock your full performance potential. Fees are due at the first lesson of every month and can be paid in cash, check or credit card. If you pay per lesson, please have your payment ready at the start of every lesson. If you must cancel a lesson for any reason, you must do so at least 24 hours in advance or payment is due for the scheduled time. Please call or text us so that we can schedule someone to fill that gap in our schedule. This policy also applies to illness. Most of us know when we’re coming down with something. Please DO NOT share your disease with us and the rest of the studio and please don’t wait until the last minute to cancel. If you do not cancel or forget to come to your lesson, you will be charged. Our time is precious, as is yours. However, exceptions will be considered on a case by case basis when life throws you a major curve ball. If we must cancel your lesson for any reason, we will give you the choice to have a makeup lesson or give you credit towards a future lesson. We encourage our students to sit in on their colleagues’ lessons, with permission. The observer can gain further insight while the performer learns to manage their nerves in a safe environment. 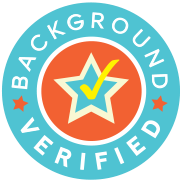 For all our prospective students, we have passed 2016 criminal background screenings as preformed by a licensed credit reporting agency. The results are available for viewing upon request.